That is the story introduction I heard from Katie last week. It’s a shocker but it should be told. This is a true story and a strong reminder to watch our thoughts and actions. Before going any further, if you or someone close to you is expressing a tendency to suicide, you can quickly have someone to talk to here: National Suicide Prevention Hotline. Don’t wait another second to contact them. We can do better with the problems we have and even eliminate or lessen others in advance. Thank you, Katie for this important story. There was a jarring difference. Sometimes my boss would react to some work difficulty by saying, “I wish I could die.”It stunned me every time she said it and I never got used to it. 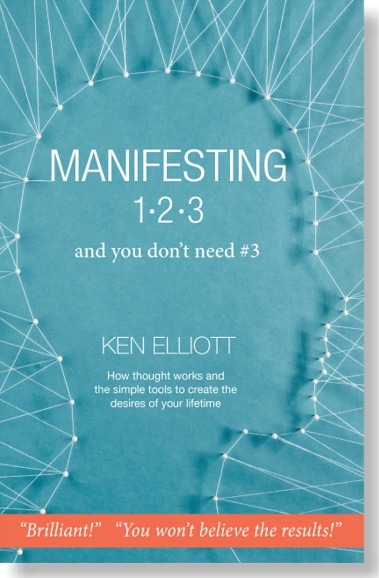 I understand the power of words and I am a proponent of manifesting. Was she literally asking to die? Ken and I talked about it and of course we couldn’t say that was exactly the case, but we did agree that a repetitive thought that was emotionally loaded is the key to creation. Why make a gamble like that? Her statement had even more power because it affected the rest of us. It wasn’t only jarring to me, it had a negative impact on the office as well. Our boss, the one that leads us forward, was throwing her hands up and it was discouraging for us to see. There is a management term, “Managing Down.” It means if your boss gets a piece of bad news from her boss then it’s not helpful for your boss to just pass the pressure on. Instead, your boss should manage the bad news, perhaps by presenting to the staff with the idea of working together to find solutions. Capitulation to the point of expressing a death wish to someone is even worse than managing down, it’s an escalation that few of us can or want to deal with.When it is seriously stated, and it was, it is truly a shock to the system of the speaker and all within hearing distance. Sadly, my boss recently died of a fast-acting cancer that took her life in a few, short months. She was in her late 50s. Did she do this to herself? There is now way to know but I can attest to a great many positive things in my life that came about from some combination of just asking or actively praying or manifesting. I just had to put this story out there for others to hear.